Means you got at least 3 of them? That should thrice the fun. Aweome! Brings new meaning to being a car collector. I am always looking at others for sale. I used to own a 2004 Echo RS. 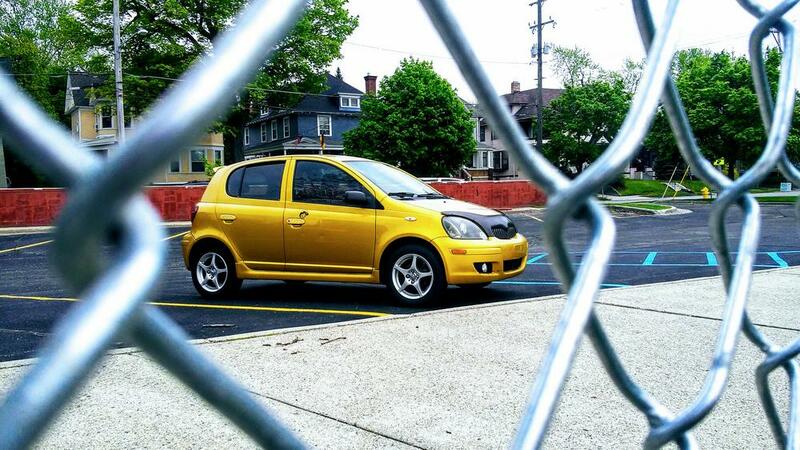 Now I have a 2007 Yaris RS. Soon, there will be tons RS in MI. dumb question, but are there any differences between the canadian(and other parts of the world) RS echo and the us-spec 'standard' echo(other than the obvious 5 doors vs. 2 or 4 in us versions)? i'd love to get my hands on one just to have something unique, but i've already got a 2001 ehco sitting in my garage that doesn't get driven as much as it should! Ok, I sort-of answered my own question. After searching the threads on 'echo rs'(which I admit I should have done initially) it looks like there are at least a couple major differences. First, the seats are MUCH nicer! Also, it looks like there may be a tach on the instrument display and alloy wheels. The last two are nice, but I'm really jealous of those seats! It sounds like what the yaris 'S' has compared to the base model. Just thought I'd report my findings in case anybody else wondered. The tach is available on certain US spec echo sedan. Other is on all echo hatch sold in Canada as 2005 model. Canadians did not have the option to get a tach on the sedan. A/C was still an option. No power windows. All 4 speakers are in the front (2 in doors and 2 on dash). 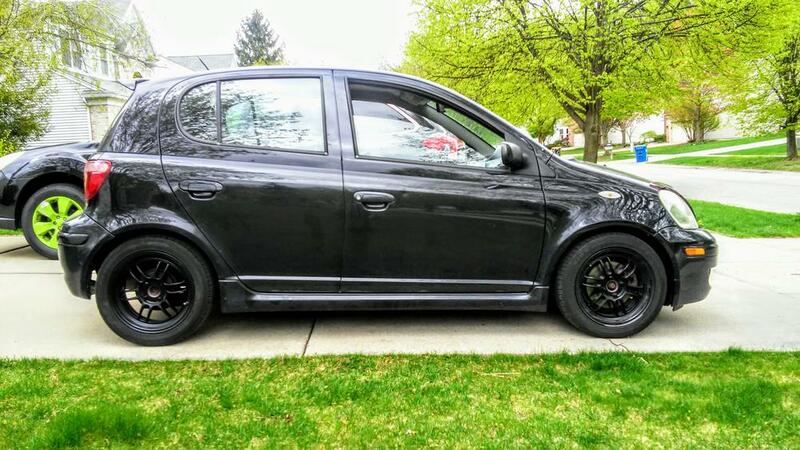 Lowered the black echo on prokits and popped the rpf1's on.